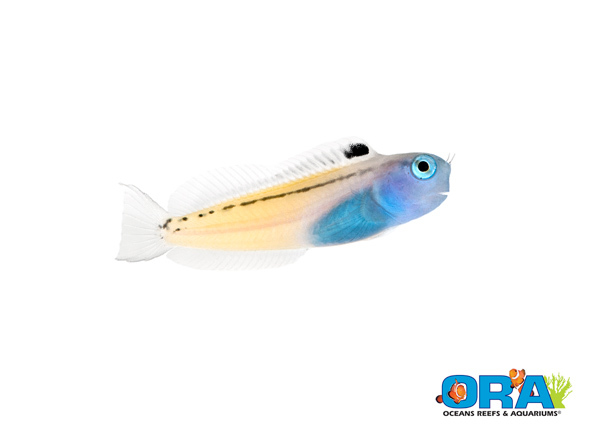 The guessing games are over as Oceans Reefs and Aquariums unveils yet another new fish. ORA Decided to have a little fun with their latest release by posting the silhouette of their new fish on Facebook and challening people to guess the ID. Whoever was to guess the common and scientific name of the fish correctly would not only get bragging rights, but would also win a pair of the fish for their home aquarium. We apologize for the brevity, as the information for the announcement was given to us earlier today, but unfortunately we did not have enough time to put together the full article it deserves. We will get more information about the fish up later today, but until then, feel free to peruse the product announcement taken from ORA’s blog. 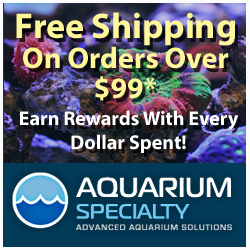 The pioneering efforts of ORA in breeding new species and varieties of marine fish has brought much excitement to our hobby over the years. Today we are especially pleased to announce yet another ORA breakthrough, the Red Sea Mimic Blenny (Ecsenius gravieri). Despite their popularity as entertaining little algae eaters, it appears that no species of Ecsenius Blenny has ever been captively bred until now. There are many popular Ecsenius species in the trade such as the Bicolor Blenny (E. bicolor), Tail Spot Blenny (E. stigmatura) and the beautiful Midas Blenny (E. midas). We started with one you have probably never seen before. Red Sea Mimic Blennies are extremely rare in the hobby, so rare in fact that they are considered a “Holy Grail” species by some. We suspect there are several reasons for their rarity. Fish collection in the Red Sea is rather limited and collection stations seem to come and go pretty quickly. Most importantly these fish are near perfect mimics of the Black Lined Fang Blenny (Meiacanthus nigrolineatus) which we suspect are more plentiful or easier to catch. Imports of the Mimic Blenny tend to be accidental when they are mixed up with the Fang Blenny. We would guess that only a handful of these fish are imported into the US every year. The collectors are keenly aware of the demand for the Mimic but they never seem to get it right. A recent shipment of 26 Mimic Blennies to Los Angeles yielded only 3 Mimics and 23 Fang Blennies. We know of another example back in 2009 where 30 Mimics were ordered and 30 Fangs were received! When we had the opportunity to purchase a pair of these spectacular fish from LiveAquaria we jumped at the chance. The fish arrived in excellent condition and fared well through our extensive quarantine process and it didn’t take long for them to start spawning for us. We’ve had plenty of experience with spawning Ecsenius species and found that once you have a compatible pair they typically spawn every few days and will tend a large nest comprised of multiple batches of eggs. Even though we’ve had access to Ecsenius eggs for years, raising the larvae had always eluded us until now. Read more about the Red Sea Mimic Blenny on the species profile page here.